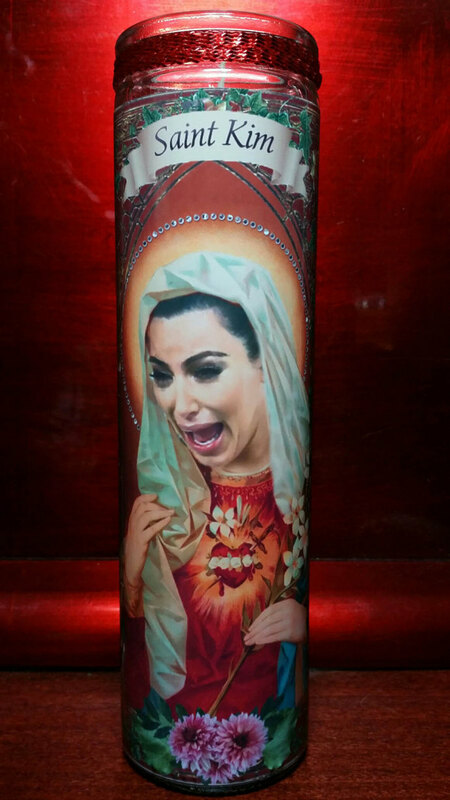 Kim K with famous crying face Celebrity Saint Prayer Candle - unscented white wax - 8" tall. Perfect decor for any room or fan! 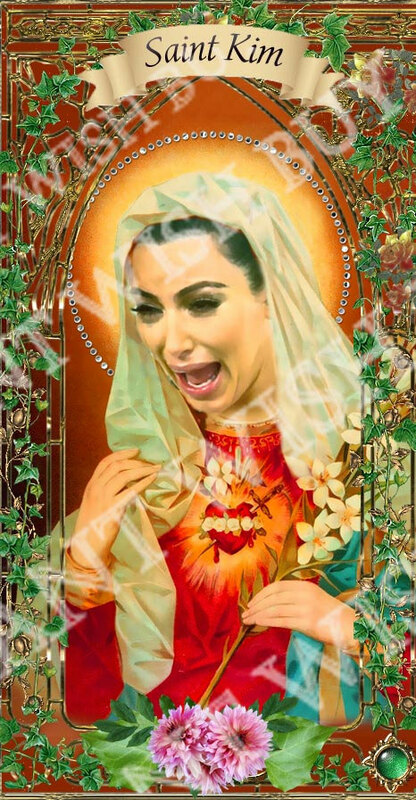 Also have a her in Tropical Saint Prayer Candle frame in other listing.